Leah Michaels | Where yarn addicts meet and enjoy! Where yarn addicts meet and enjoy! You undoubtedly love crocheting, am I right? I understand your craving for the latest techniques and stitches there are online. You are a yarn addict like myself as well, and I am glad you have found this blog. 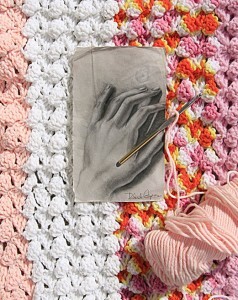 Crocheting is a really fun way to make your time productive, despite the number of hours it may take you at first. Take it easy, and you will find the one you’re looking for. This blog will motivate you to pursue your crocheting hobby, and will seriously usher you to new doors of what this skill can give us. A lot of yarn lovers are inspired to post their projects, and this is a perfect place to share and collaborate for more ideas. If you got one, then let’s hear about it. Once again, I welcome you to my blog and may you discover your full potential as you stitch your journey with us!